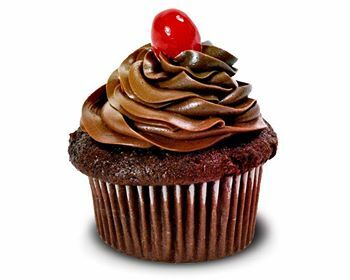 Must order 1 dozen or more. 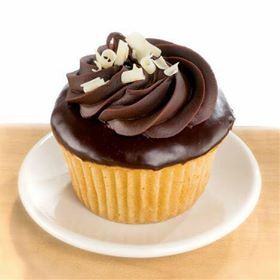 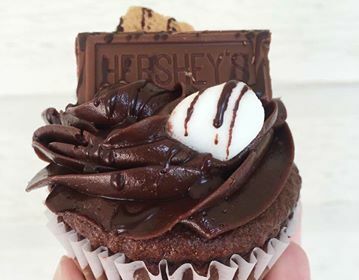 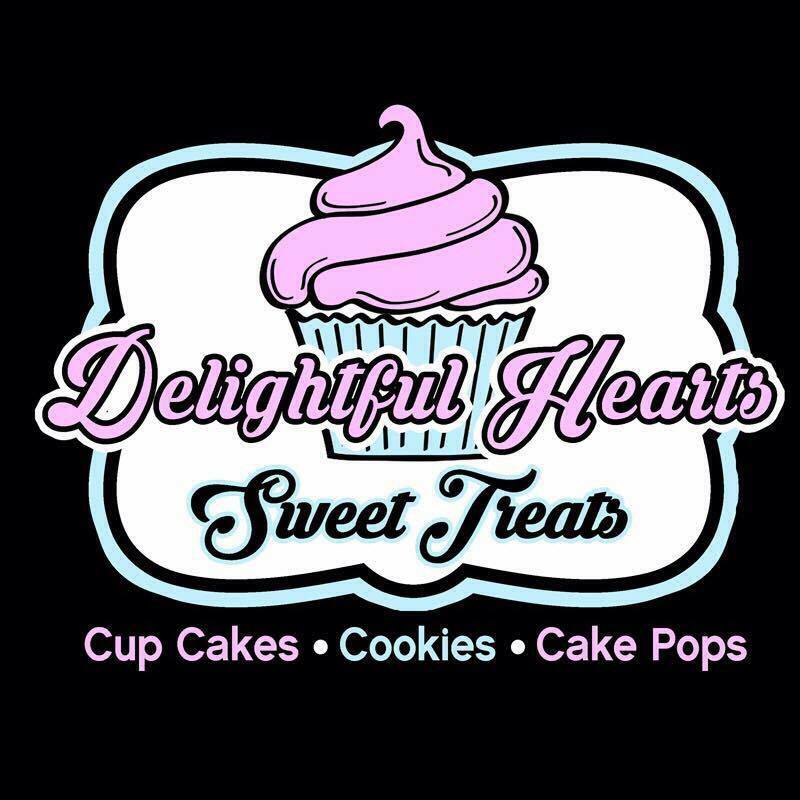 -we offer 60+ different cupcake flavors for you to choose from! 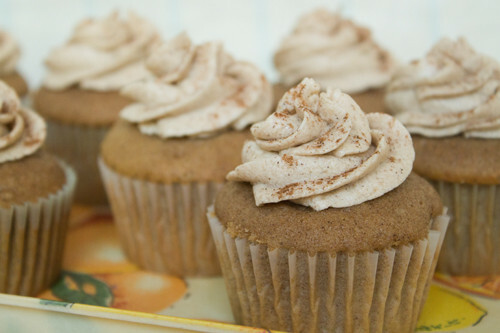 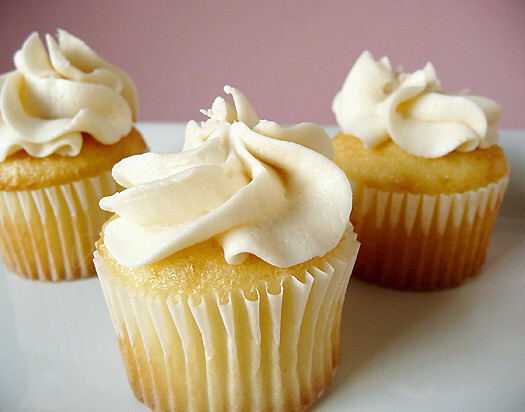 Vanilla cupcake mixed with fresh chai-latte topped with a vanilla cinnamon frosting. 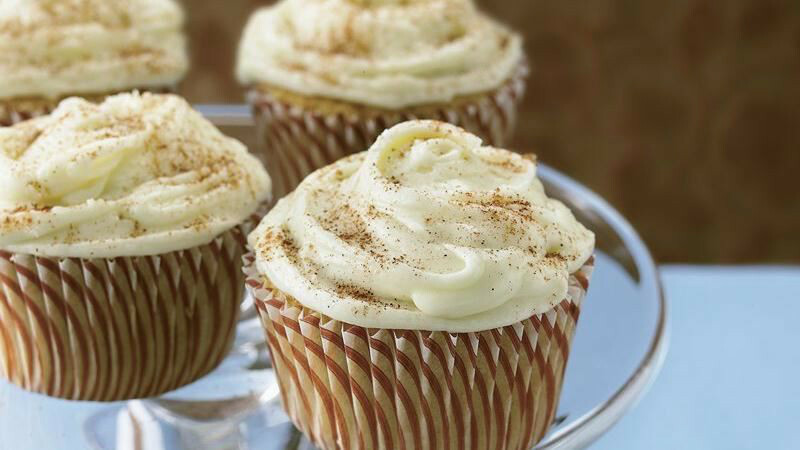 Vanilla, cinnamon, sugar cupcake made with rich buttermilk, frosted with a vanilla butter cream, and sprinkled with cinnamon/sugar mix. 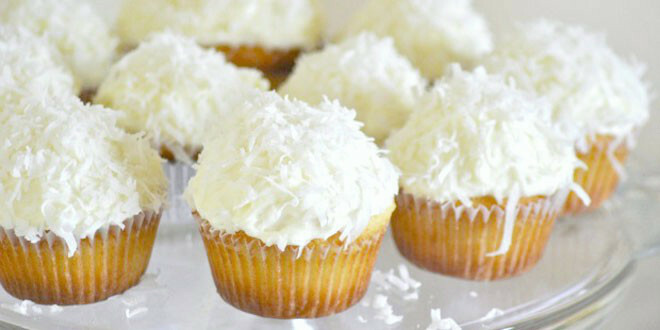 Coconut cupcake frosted with a coconut butter cream, rolled in flakes of coconut. 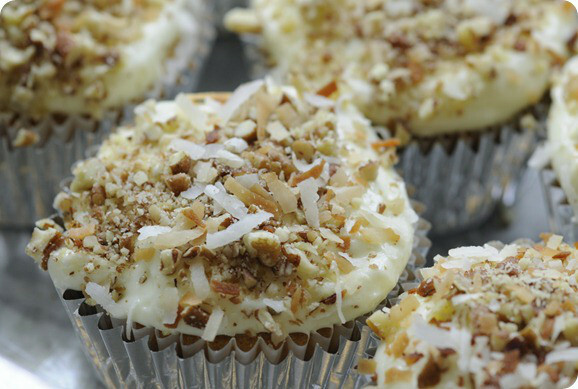 Italian style coconut cupcake topped with Italian cream cheese with walnuts and coconut flakes. 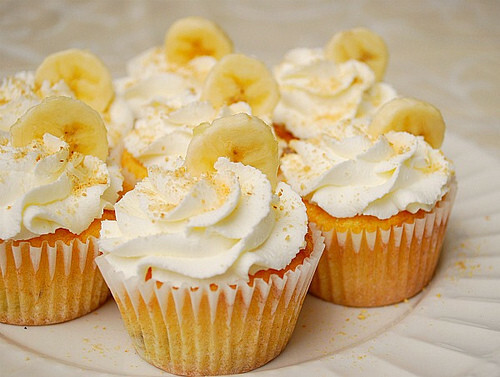 Banana cupcake made with fresh bananas topped with a banana whipped cream frosting, sprinkled with graham cracker crumbs on top. 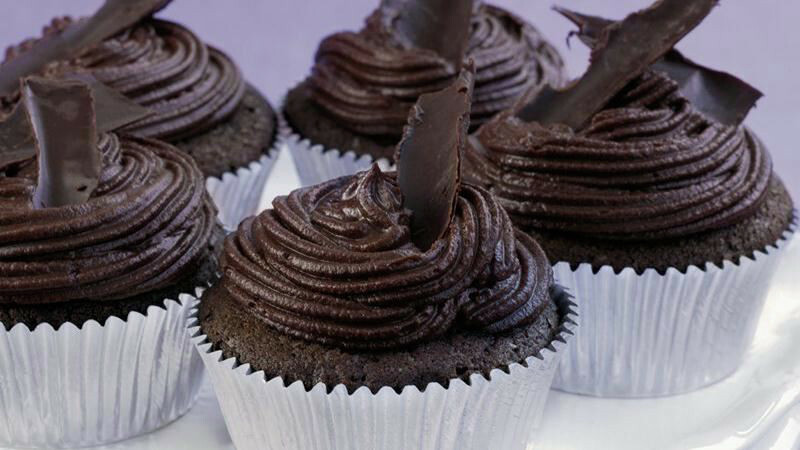 Chocolate cupcake topped with chocolate butter cream frosting topped with a dark chocolate curls. 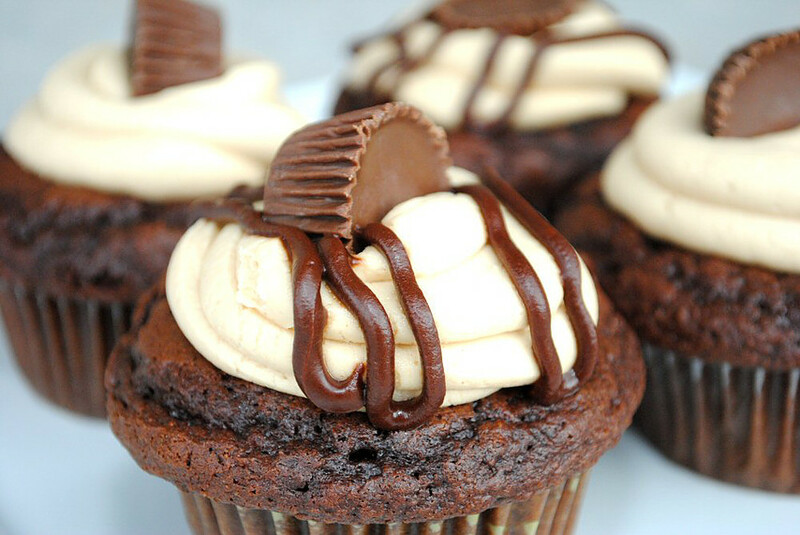 Peanut Butter cake baked with a peanut butter cup center, frosted with a peanut butter cream, and garnished with a mini peanut butter cup. 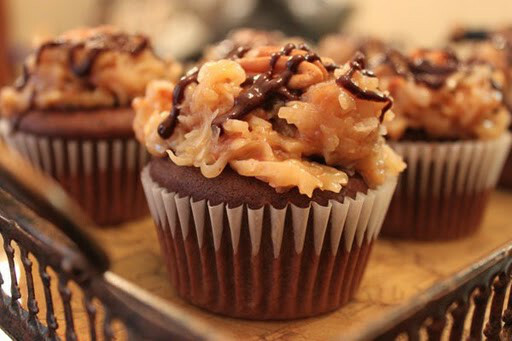 Chocolate cupcake topped with a German chocolate frosting, which is a very delicious blend of caramel, coconut, and pecans. 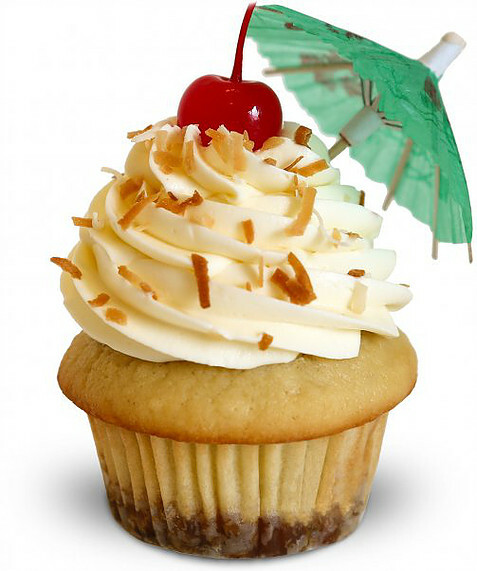 Coconut/Pineapple cupcake, frosted with a coconut butter cream, garnished with coconut, a maraschino cherry and a mini umbrella. 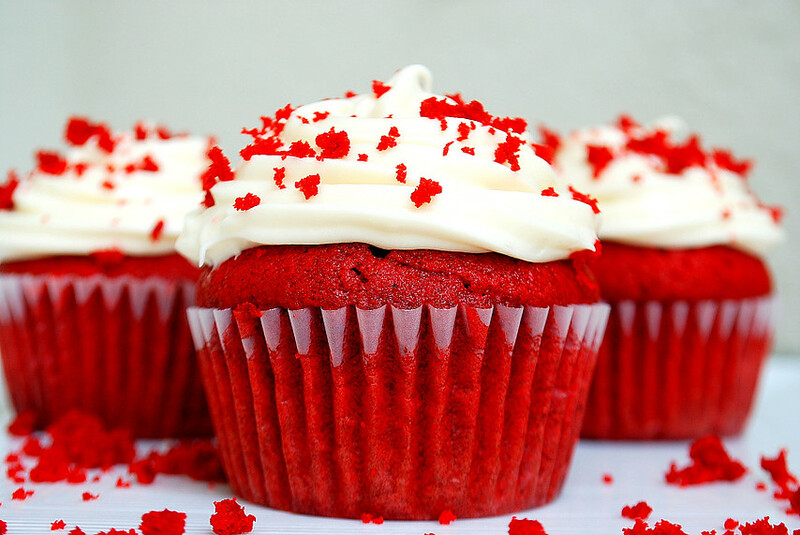 Red Velvet cake topped with a swirl of cream cheese frosting sprinkled with red velvet cake sprinkles. 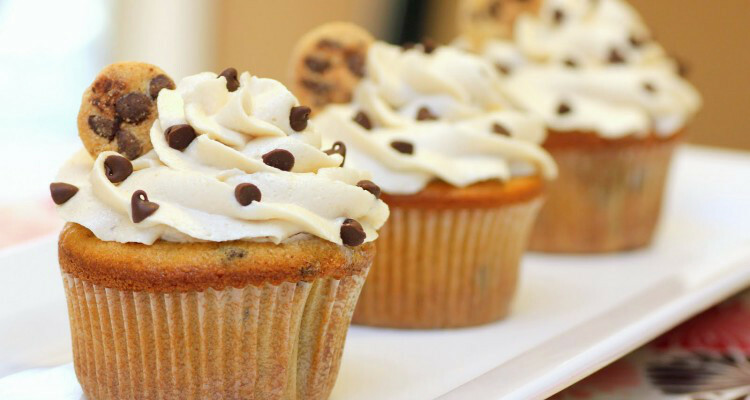 Vanilla cupcake with a chocolate chip cookie baked inside, frosted with vanilla butter cream and topped with crumbled chocolate chips & cookies. 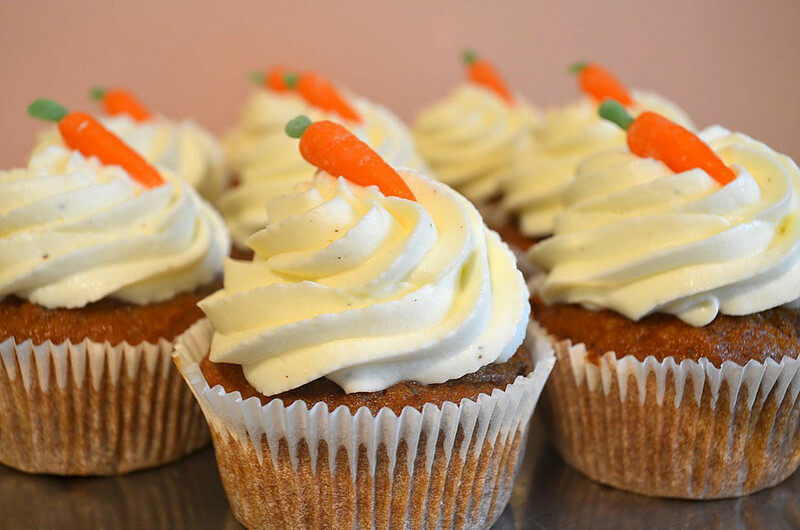 Fresh carrot, raisin, walnut cupcake topped with cream cheese frosting. 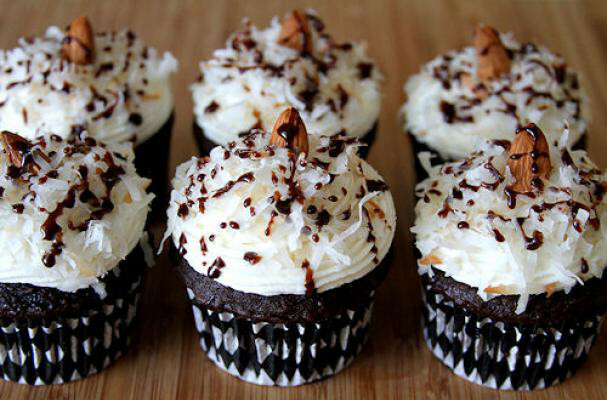 Chocolate cupcake filled with a creamy coconut filling frosted with a coconut almond butter cream. 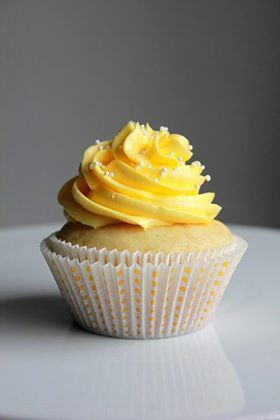 Vanilla Cupcake frosted with a vanilla butter cream topped with crystal sugar. 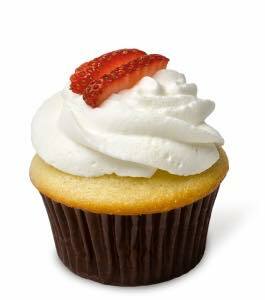 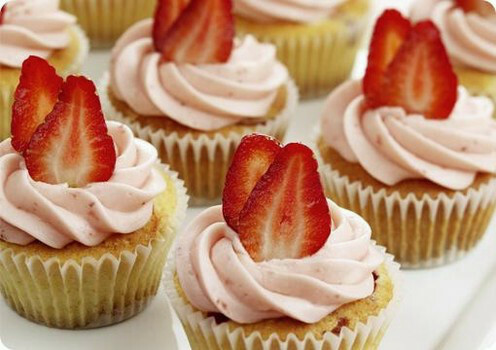 Strawberry cupcake baked with lots of fresh strawberries and topped with a strawberry butter cream frosting. 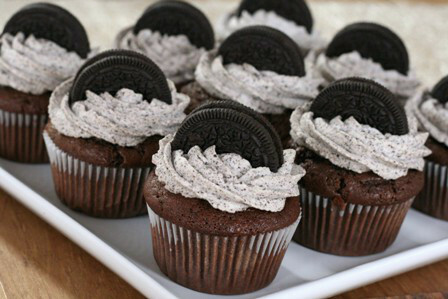 Chocolate cupcake with a Oreo cookie baked inside, frosted with a vanilla butter cream frosting mixed with crushed Oreo pieces and topped with a Oreo cookie.